Herbal Medicine utilizes herbal ingredients in particular combinations to correct imbalance underlying a disease pattern and to promote the body’s ability to heal itself. Each herb has a different effect on the body and can affect a variety of organs, including the liver, lungs, or heart. An extensive body of clinical research has shown Chinese Herbal Medicine to be extremely effective in treating chronic veterinary medical issues in the fields of gastroenterology, cardiology, dermatology, endocrinology, reproduction, oncology, and behavior. 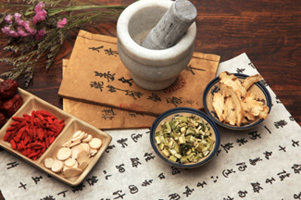 In addition, Chinese Herbal Medicine increases the quality of life for geriatric patients. Chinese Herbal Medicine can be combined with acupuncture, food therapy and/or Western Medicine to enhance clinical results. Dr. Cynthia Wiseman has undergone extensive training in Chinese Herbal Medicine and will be pursuing certification in March 2019.